The current round of redistricting — the drawing of political maps for the state’s congressional, state Senate and state House delegations — began with the 2010 census and maps originally drawn in the 2011 legislative session. With only two election cycles left before the next census, the congressional and House maps are still being contested in court. For now, the courts are saying Texas should run the 2018 elections with the same political lines used two years ago. Those districts favor Republicans, who had a legislative majority when the maps were made and who have preserved that majority, in part, because of the districts they drew. In fairness, it must be said that Republicans have won all of the statewide elections in Texas since 1994 and would probably have legislative majorities without tweaking the maps in their favor. 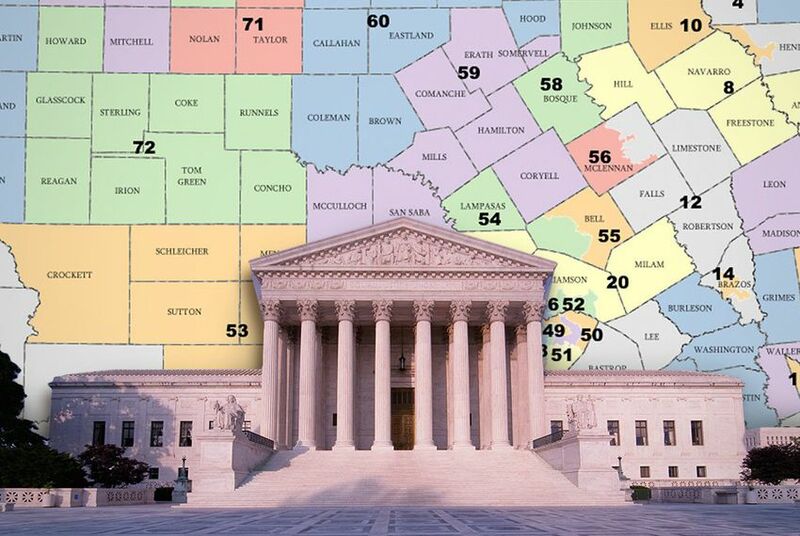 The nation's highest court says Texas should use the political maps it already has in place while litigation over those maps continues. But the courts have been known to change the maps in the middle of election years.